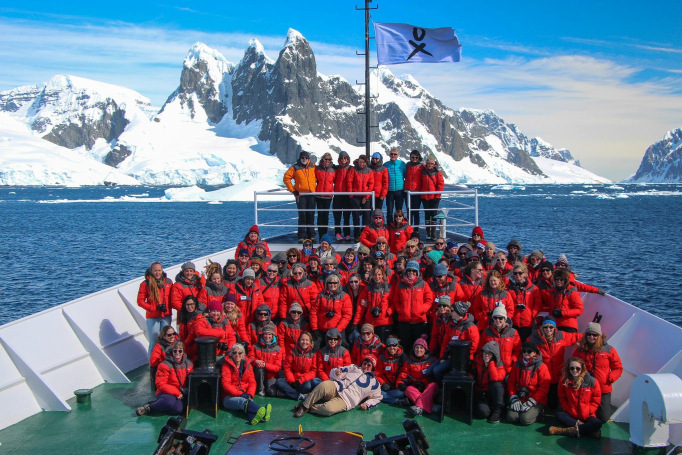 On December 18, 2016, a group of 76 women scientists stand in awe and expectation aboard a slow moving ship headed toward Palmer Station, a US research outpost on the Antarctic peninsula. 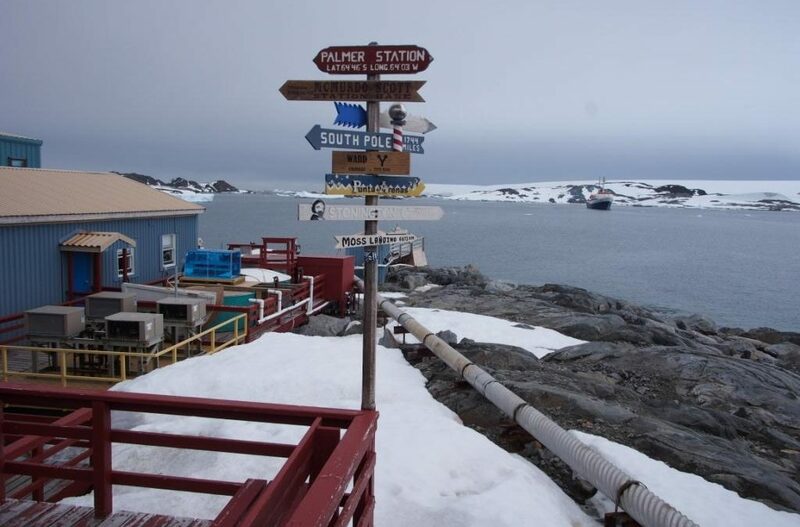 Built in the 1950’s, Palmer Station sits south of Anvers Island, an island off the northwestern coast of the Antarctic Peninsula. With down jackets zipped to their chins, they shuffle weight from foot to foot, ignoring their vaporous clouds of breath in order to get a better look at the approaching shoreline. 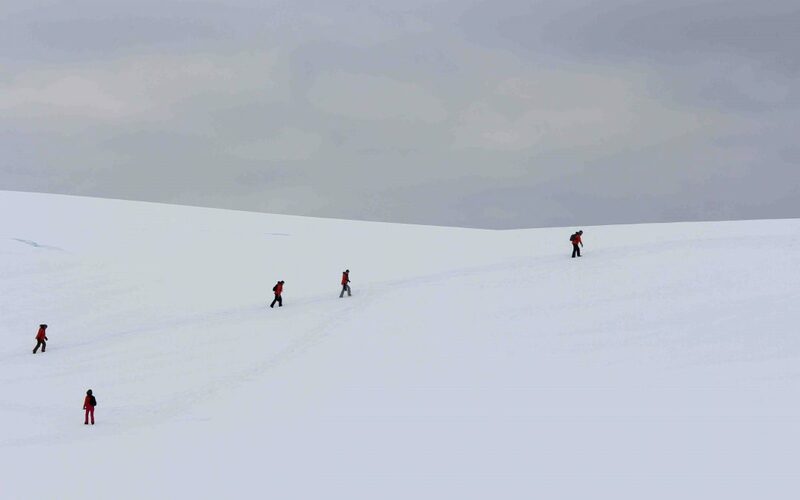 Today is day 16 of the 26-day Homeward Bound Expedition, the largest all-female expedition to Antarctica to date. For three weeks these women left their families, their research, and their lives behind to investigate the world's most prolific environmental phenomenon: accelerated climate change. 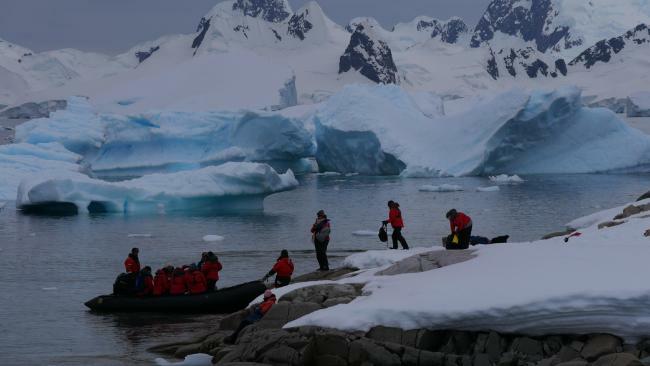 The scientist began their journey on December 2nd, 2016 when they boarded the MV Ushuaia in Argentina, a ship that would take them to the world's southernmost continent, 98 percent of which is entirely covered in ice. 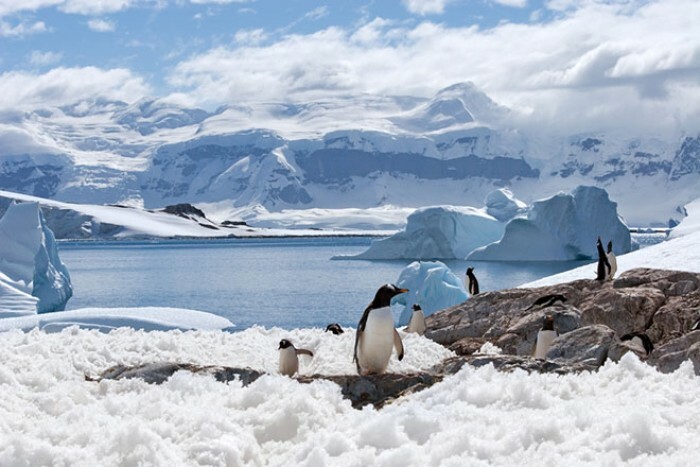 Antarctica, on average, is the coldest, driest, and windiest continent. Antarctica also has the highest average elevation of all the continents. According to the Antarctic and Southern Ocean Coalition, Antarctica comprises two geologically distinct regions, East Antarctica and West Antarctica, separated by the great Trans-Antarctic Mountains but joined together by the all-encompassing ice sheet.” The continent include many types of algae, bacteria, fungi, plants, protista, and animals like mites, nematodes, penguins, seals, tardigrades; and, of course, glaciers. Right now the average snow deposited on Antarctica yearly is equivalent to about 5mm of the global sea level. 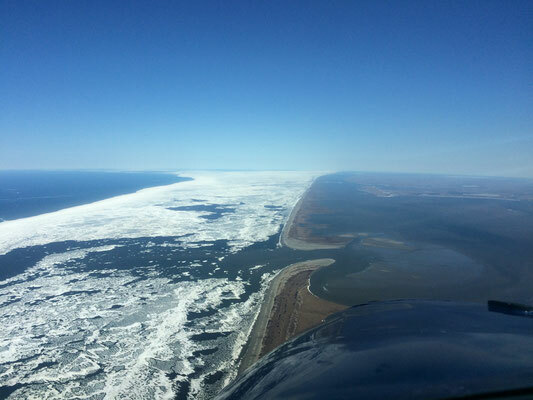 Historically, this is also the amount of ice that has been discharged back into the ocean each year. As this equilibrium of input and output alters, we see an rising sea level globally. To put this in perspective, the Antarctic ice sheet contains enough ice to raise the world-wide sea level by more than 60 meters if it was to melt completely. 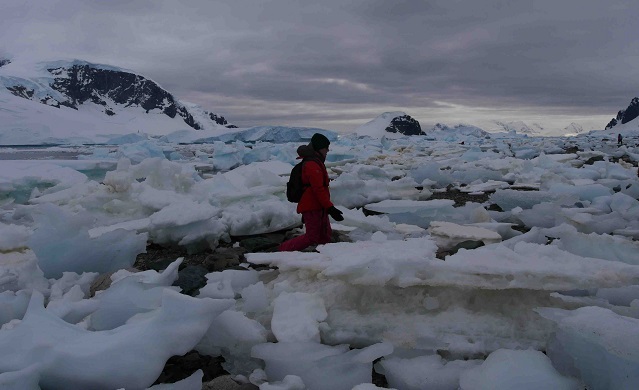 Currently, the West Antarctic peninsula is one of the fastest warming areas on Earth. Rising temperatures increase the amount of moisture in the air, which eventually becomes snow. And for the last few decades, that snow kept surface waters from warming even more, added bulk to sea ice, and reflected sunlight. But as the Antarctic continues to warm, models show snow becoming rain, even as total precipitation rises. 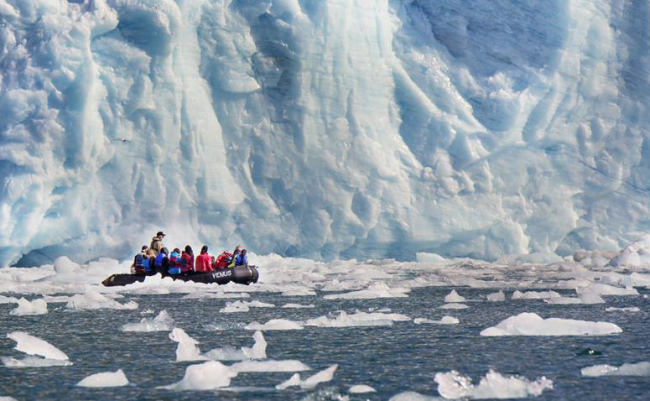 The most obvious consequence of ice loss will be rising sea levels from glaciers sliding into the ocean, and increased global warming as ice-free waters absorb solar energy, research says. This will increase other meteorological phenomenons like monsoons and heat waves. These effects then spread to many other ecosystems. Oh, and it will ultimately affect fishing and farming and other human-centered infrastructures. The Homeward Bound voyage offers rare access to some of the most obscure ecosystems in the world. With research and training spanning across tens of fields, these women have been accepted to an intensive leadership training program lasting a year and culminating in a three week on-site expedition. Last year around 340 million people knew about Homeward Bound and around 78 million followed the expedition live. 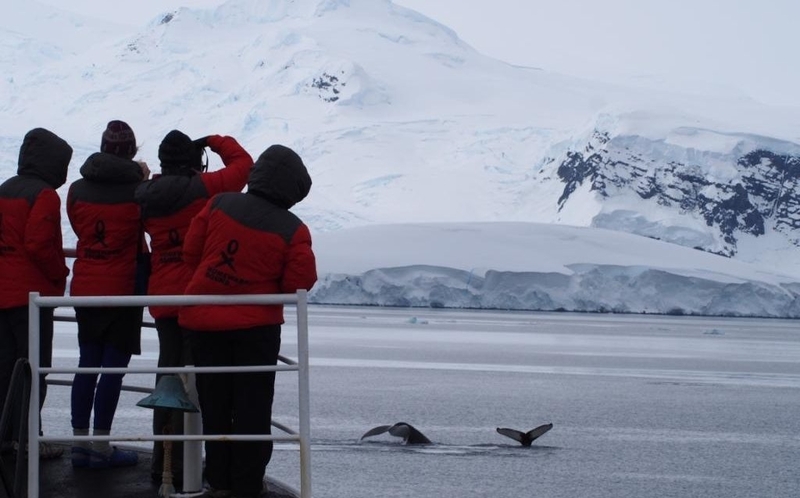 They have the opportunity to observe biodiversity and physiological stressors in the Antarctic as a result of climate change. 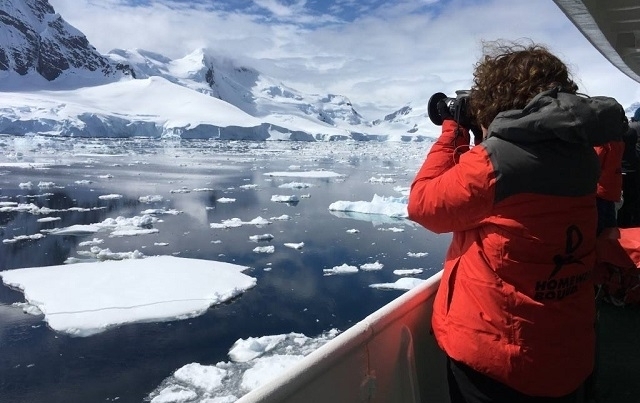 They follow humpback, minke and killer whales in Zodiac boats while discussing population and migration, and observe Adelie penguins on Paulet Island, located on the northern tip of the continent. Adelie penguins feed off krill, and krill feed off the algae that grow under sea ice. Less ice means less algae for krill larvae to feed on. 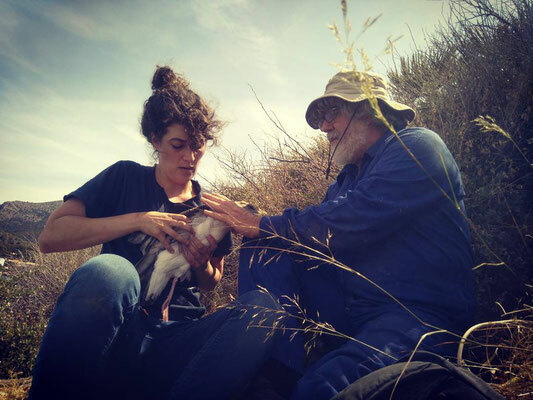 “One of the things that happens with rising ocean temperatures, is that the cold water currents — that the fish and krill are in — get pushed deeper and further away from the penguins’ breeding and foraging grounds; making it difficult for them to find enough food to eat,” says deNapoli, who has worked for penguins with 15 years. Other penguin species adapted and started eating fish instead of krill. But fish are also retreating due to the water temperature changes and are hard to find in penguin’s foraging grounds. Populations are expected to dwindle by the end of century. Penguins make for an easy conversation regarding climate change because they are recognizable. But many other more complicated and recondite species, like ocean sponges, are not. 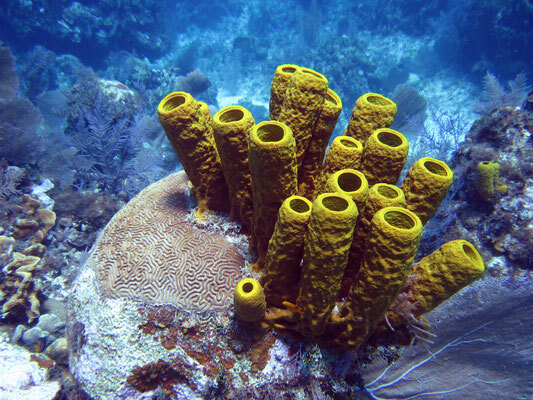 Ocean sponges are constantly filtering water, regaining organic material. They are the liver of the ocean. Research has found that some sponges feel more comfortable than others under climate change conditions and that some reefs--like those in the Caribbean--are becoming sponge dominated, replacing coral, to adapt. The loss of coral, in favor of sponges, has an effect on local biodiversity. Many oceanic species rely on the dwindling coral reefs. As sponges take over the food chain is disrupted, changing the ecosystem. This change moves up the chain and ultimately affects things like commercial fishing, which depends on the prolific nature of fish that feed on coral reefs. Under rapid climate change fisherman will find that they don’t have nearly the yield and can potentially no longer afford to fish on a commercial level. Alicia Perez-Porro, an ocean sponge specialist and Homeward Bound participant, thinks of her family. After spending an entire life’s work studying sponges and diving in reefs, she asks, rhetorically, “will my daughter see the Great Barrier Reef?” Unforetold changes can unravel in the span of a single generation. It is true that the climate has been changing and evolving since the beginning of time. The difference, Perez-Porro points out, is that humans are responsible this time and that we are accelerating the process by 170 times over. It’s not supposed to happen this fast and it is not allowing species adequate time to adapt. On a human level, it means we are destroying our own resources. Homeward Bound’s initiative selects nearly 100 female scientists each year to participate in the yearlong training. In 10 years, Homeward Bound will have created a network of 1,000 female leaders with a background in science, across many disciplines, who are then empowered to apply their knowledge in areas inside and outside of their direct field. They will have acquired the language, the confidence and the support to share their findings beyond the research lab, to policy-makers, politicians, media, financial granters and society at large. This project is the brainchild of Fabian Dattner, the founder and orchestrator behind the Dattner Grant, a leadership consultant agency. The agency has a particular emphasis on leadership as personal growth and leadership as a tool to finding meaningful contributions to society. The agency works with both individuals and organizations, establishing itself in the forefront of the leadership training arena. Using concepts from this agency, Dattner pointed her efforts to a new specific project: women in the sciences. Though there are many female graduates, there are fewer recognized female leaders and even fewer are in executive decision making roles in the sciences. In 2014, there were 16,195 total doctoral degrees awarded in the sciences and engineering fields. Of them, 41.6% were women. According to UNESCO’s 2015 report, only 28% of researchers globally are women. Despite composing nearly half the graduate population, very few science-related leadership roles are filled by women. Fabian and team believe there is a league of untapped female leaders. Homeward Bound intends to train them to step into these roles. A leading motivation for this project is to encourage women to design and execute strategy; encourage future collaborations among women in the sciences, and share meaningful work regarding the health of the planet. For the Homeward Bound founders, these skills begin with an understanding of self and relationships. Curriculum topics, therefore, include a host of personal assessments. These include emotional agility, leadership style, establishing funding profiles (for research), motivation, how to collaborate, personality diagnostics, emotional intelligence, coaching, Life Styles Inventory (LSI) assessments, the 4MAT method, and taking and reflecting on the MSCEIT, an emotional intelligence test. The information is then consumed via videos, small groups, lectures and journaling. This support and training comes as a relief to many women, who have observed disturbing patterns in academics and the sciences. With excessive emphasis on publishing research, the “publish or perish” system is particularly difficult for women who wish to have families. Because of the pressure to publish many women are pressured out of taking maternity leave or simply use the leave to do research, with less time to care for their child. If one does not publish often enough in a year because of maternity leave, family emergencies or sickness, current and future employers see the “gap” in their productivity as a black mark. This could keep them from securing a raise, a recognition or a future job. Taking time off to have a baby often means you automatically lose your currency in your research unless you publish throughout maternity leave. One solution, a recent Homeward Bound participant suggests, is to make parental paid leave mandatory for both men and women. “The 2013 Physics Nobel Prize winner, Peter Higgs, said he ‘wouldn’t be productive enough to get a job in today’s academic system.’ The ‘publish or perish’ system does not reward good science from women or men,” remarks Perez-Porro. Part of Homeward Bound’s objective is to create a supportive network of women through peer mentoring. After a year long program and three week expedition, these women become allies to one another. In turn, they become resources for future success, sharing hacks, tips and tools to navigate the bumpy road of research, recognition and high level academic success. The communion with other female scientists allows participants to practice leadership skills in real time, with one another. The program is supported by a faculty of leading experts including Dr. Jane Goodall, primatologist and environmental campaigner, and Dr. Sylvia Earle, global leading Marine Biologist, explorer, author, and lecturer. Among the participants for 2018's expedition are astronomers, engineers, physicists, Arctic specialists and social scientists. Homeward Bound’s second annual expedition will depart in February of 2018. To learn more about the women on Homeward Bound’s second journey, we sought three participants in the 2018 voyage. With backgrounds in biodiversity (marine sponges), environmental variability (seabird populations), and meteorology, our interviewees tell us about Hurricane Sandy from their aircraft, scientific standup comedy on the road, and how bird species are literally mutating to adjust to rapid climate changes. 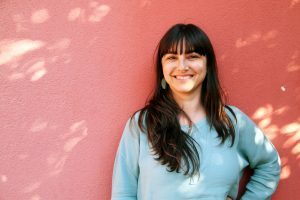 Alicia Perez-Porro is a Research associate at the Smithsonian Museum of Natural History. 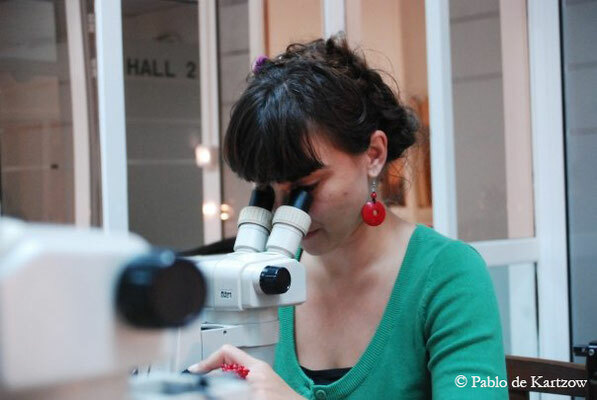 Originally from Barcelona, Spain, she holds a MSc in Biodiversity, a PhD in Biology on ecology and genomics of marine sponges, conducted at Harvard University. Recognizing the unique barriers women face in science, she created and chairs the Women in Science Commission (MECUSA) of the Association of Spanish Scientist in the USA. What exactly is biodiversity and what does it teach us about the health of communities and ecosystems? Biodiversity is the amount of different species in an ecosystem, that means the variety of life in the world. The more species, the more biodiversity. Biodiversity is not normative--that is, it’s not inherently “good”. Each ecosystem has its own “sweet spot” for everything to work optimally. To know the sweet spot you have to deeply study the ecosystem. Sometimes you find it by disturbing it, and you see the repercussions. In some instances (not sponges, sadly), you can recreate an ecosystem in a lab and play with different variables. When we “mess” with an ecosystem (climate change, pollution, etc), it is almost impossible to predict the consequences of biodiversity loss because we still don’t know the exact role that many species play. Can any of these principles be applied to human communities locally or globally? One way to think about it is that we are part of Earth’s biodiversity, just another species playing a role. When I think about us (humans) in these terms it puts things into a different perspective. What has been the most surprising or exciting observation or outcome you have witnessed in your scientific field? 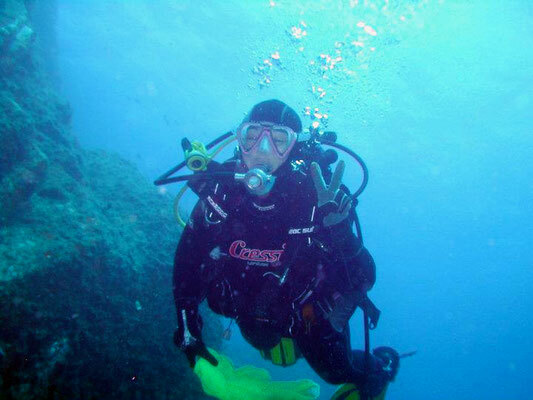 Maybe 10 years ago, I was working for WWF and TNC evaluating Caribbean coral reefs. This means I was diving 5+ hours a day, marking the types of corals, their depth, and other vital signs on a piece of underwater paper. This is how we evaluate the health of reefs. After a couple of weeks diving in Honduras we moved our expedition to Guatemala. I remember diving close to Río Dulce and seeing a sponge reef for the first time. When you think about a reef you imagine a lot of different corals of different colors, people don’t add sponges to this imaginary picture of a reef, and up until that point, I hadn´t either! It was a pivotal moment for me personally because I emerged from that dive saying ‘I want to study sponges’. In your bio you mention the "unique barriers women face in science." What are these barriers and how do you think we can overcome them? 1) A glass ceiling: It’s hard to gain access to the top due to how the academic system is set up. This is a nuanced issues with no clear solution. Some of the important steps forward we could make are having an open and honest conversation about the scientific system in general, not just about women. For example, the 2013 Physics Nobel Prize winner, Peter Higgs, said he “wouldn’t be productive enough to get a job in today’s academic system”. The “publish or perish” system does not reward good science from women or men. 2) Maternity is seen as a liability: A solution could be mandatory paid parental leave for both parents. 3) Feminine leadership and/or ambition is not respected: “Leadership” is defined by masculine qualities. You’re called bossy if you try to be a masculine leader, and you’re not listened to if you try to be a feminine leader. It’s the scientific version of a Catch-22. Similarly, women are accused of not being ambitious. I don’t think this is true, rather we want a diverse set of successes. Traditionally, men only want professional success. Given the barriers women face professionally, at some point you put your energy in other places. In your eyes, how does the Homeward Bound Initiative bolster a network of women to make a future impact? We need to stop competing with each other. The best way I believe we can support each other is through peer mentoring. Studies show that women need friends more than men, it’s good for our mental health. Translating this finding to the professional world, we need mentors. HB provides this, which brings us back to biodiversity. What kinds of ways do you have to train to prepare for the 2018 voyage to Antarctica? Truthfully, I’m most concerned about how I am going to be away from my daughter for 3 weeks. She’ll be 14 months when I’m in Antarctica. I’m most scared she won’t recognize me, will forget about me, or worse still, reject me. I am self-funding this experience, because I believe it will significantly help me contribute more to the world, and to take my voice and my science to more impactful conversations. If you’d like to help me do this, please visit my crowdfunding page. Anything helps! Are there any pieces of media that have inspired you personally? This can include Ted Talks, books, lectures, quotes, documentaries, etc. My day-to-day inspiration comes from my “on the ground” role models, not celebrities. I look at my mom, grandmother, and aunts, and I’m surrounded by tough, powerful women. They may not have done “great things” in the world, but they were always in charge of their own lives. More recently, and more personally, I really enjoyed the Ted Talk by Monica Lewinsky on cyberbullying. It made me realize why people jumped on the bandwagon to attack me during certain low points in my life, as well as forced me to think about if I also did this to others. Bringing it back to women in science, it’s hard to ignore how different standards for women and men are. If you had to name a motto for your discoveries in your field, what would it be? How does one make "science" more creative, as mentioned in your bio? I believe scientists have a lot in common with artists, only we don’t always express the connection. Creativity should be an important feature for scientists—such as thinking outside the box or being resourceful. Sadly, the academic system penalizes this. We need to work better together with other scientists and nonscientists, forcing us to think outside the box, explain what we do and what we know. I define myself as an “abnormal scientist”, because it’s not valued in the science world. So how do we do this? Granularly, we can incentivize multidisciplinary teams. This can happen at the funding or institution level. More broadly, we need to force scientists to leave their comfort zones. Actually, we need to force all of us to leave our comfort zones. This is the only way we’ll find the optimal biodiversity for gender, science, and humanity. LCDR Rebecca Waddington is a Commissioned Officer, National Oceanic and Atmospheric Administration (NOAA). With a Bachelor of Science in Meteorology. Her first assignment with NOAA Corps was as navigation officer aboard NOAA’s oceanographic research vessel, the KA’IMIMOANA. Following her sea time, she transitioned to working in the storm surge unit at the National Hurricane Center. 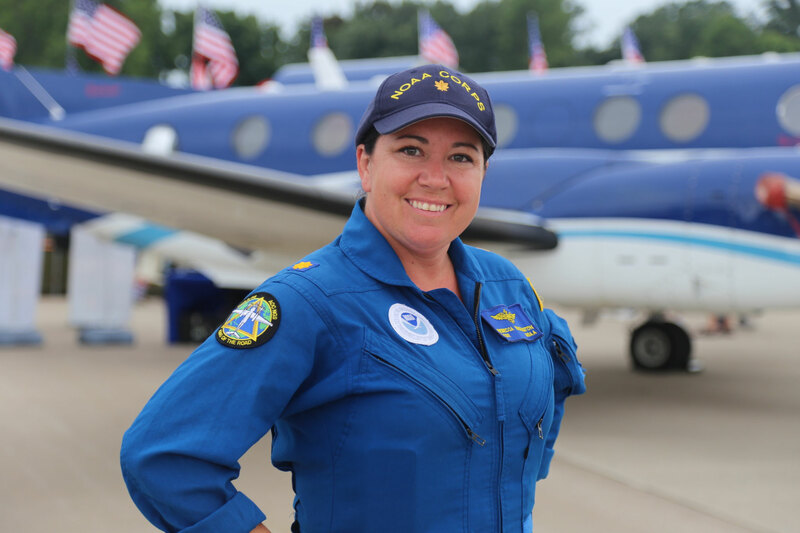 Since 2009, she has worked at the Aviation Weather Center and serving as aircraft commander on NOAA’s premiere remote sensing platform. My background is in meteorology, but since graduating my focus has become more operational. 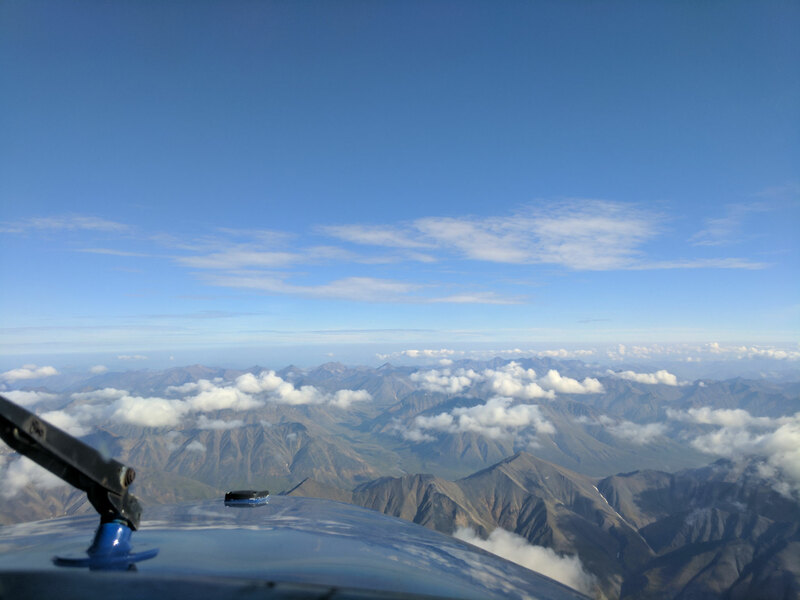 I currently fly a King Air 350 for the National Oceanic and Atmospheric Administration (NOAA). The King Air is NOAA's premiere remote sensing platform. We conduct aerial surveys of the coastline for maritime navigation safety, and we also conduct emergency response surveys following major disasters like hurricanes, tornadoes, earthquakes and floods. The flight that stands out most in my mind was the response flight over New Jersey and New York following Hurricane Sandy in 2012. From a meteorologist viewpoint, Hurricane Sandy (and all hurricanes) are fascinating. However, seeing the damage first-hand brought on a new perspective. I was able to connect meteorology with the storm's impact on the local communities. The photos we took from the aircraft were the first indication of whether a person's home was still standing. This alone makes our mission invaluable. 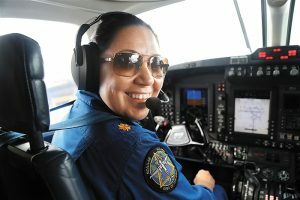 Homeward Bound is able to connect women across the globe who have a variety of interests and very diverse backgrounds. In small group discussion, I've met veterinarians, marine biologists, and people conducting research in polar regions. If not for Homeward Bound, it is unlikely that our paths would have crossed.The initiative is the first of its kind to give us an avenue to work toward a common goal. Every participant I've spoken with thus far is excited and motivated to make a difference. Homeward Bound is able to harness that energy and propel it forward. We will make connections and share ideas, ultimately using each other as resources and working together to complete something that we couldn't have done on our own. It is inspiring to meet these brilliant women and humbling to be a part of Homeward Bound. Following the 2016 presidential election and the subsequent withdrawal from the Paris Agreement, there have been several news articles about climate. Seeing our countries leadership disregarding the climate has inspired me to work harder for the environment. I am fortunate that I have worked on a research vessel in the past, so I don't feel that I need to do any particular training for the voyage itself. I will certainly need to obtain some cold weather gear. Living in Florida means I don't have that kind of equipment readily available. I am a very outgoing person, so I am excited to meet the other participants. Some of the US-based participants are working together now to coordinate our travel plans. The sky is not the limit. You define your limit. Ana Payo Payo is a PhD. Candidate Biodiversity, IMEDEA-CSIC-UIB/ Barcelona University, Spain. Ana is a passionate scientist with a particular interest in population ecology. She is about to defend her PhD on the effects of environmental variability and perturbations on seabirds population dynamics. She invests most of her free time doing scientific outreach (scientific stand-up comedy shows) with Big Van. 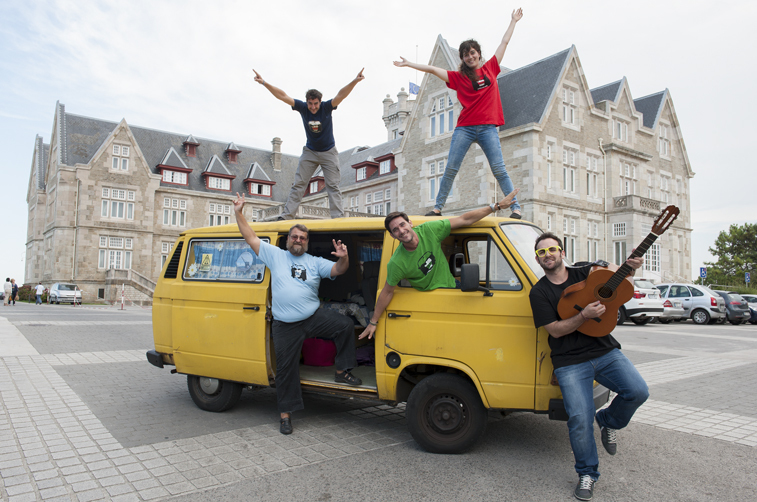 Can you tell us more about your scientific outreach (scientific stand-up comedy shows) with Big Van? Who is Big Van and what are these shows like? We want to break the stereotypes built around science and scientists. Sciences is hard, true. But, it is also lots of fun. Scientists are fun too. We belive that engaging people with science has never been more urgent to ensure future innovation. What is BigVan? We are scientists. We are bringing our cutting-edge scientific stand-up show to every corner of the planet! 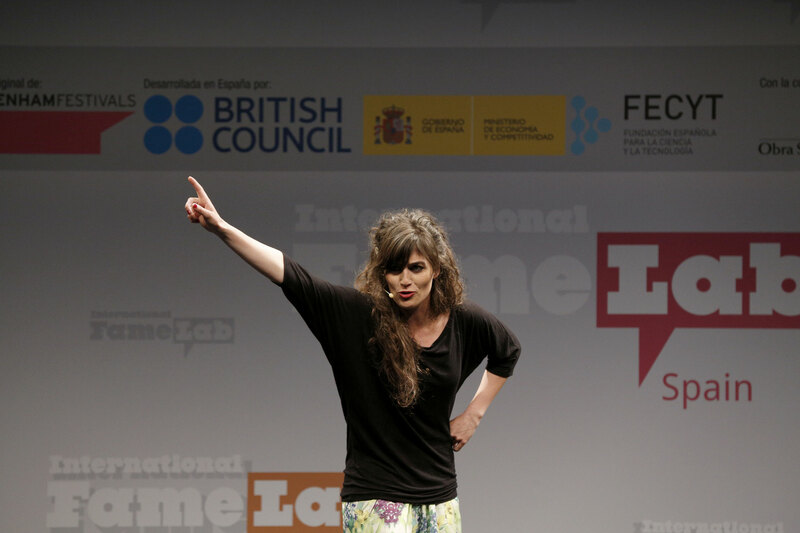 We first came to prominence as an insightful scientific stand-up show in Spain but we have now expanded and performed in artistic festivals and scientific institutions all over the globe. BigVan crew, we are highly creative and innovative scientists with years of experience in the arts and theatre. This art-science cocktail, together with the crew's passion for science-communication, drive us to push frontiers and demystify the scientific world for the general public. BigVan, the show! is designed to engage the general public with scientific and technological concepts by breaking them down into 3-4 stand-up comedy solos (of 10-20 minutes length). 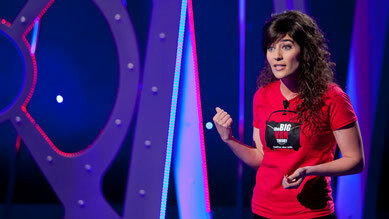 A 30 minute open-mic session follows the show and the audience becomes the main character. The public is invited to ask (live or by twitter) all those things they had always wanted to know: What came first: the chicken or the egg? If poison expires, will it become less poisonous? Red knot flocks, a beautiful shoreline species, are now threaten by the perils of climate change. Every spring they fly up to 9,300 miles from the wintering areas in West Africa to the Arctic in less than two months. Such migrations show their amazing endurance and watchmaker punctuality. However, its strength makes them also vulnerable. A recent study shows how climate change is causing snow melting earlier than a few decades ago. Insects living in the Artic — their main food source — are responding to such pattern hatching earlier. But red nots are not adjusting their schedule to this change and it has consequences. Juveniles grow smaller beaks than they used to and, when they reach their wintering grounds off the African coasts, they can not dig deep enough to reach their regular diet (clamps buried in the sand). These short-billed individuals are in worst condition and are more likely to die which might have driven the recent severe decline in the red knots populations. We I first read the article I was very surprised. These kind of studies show us how apparently unrelated events might have devastating consequences in the other side of the world. I guess it was both surprising and scary. First, it joins together a league of extraordinary women. My adventure started 5 months ago, since I have had the chance to meet, talk and work with extraordinary people who have decided to go beyond their obligations to help saving the planet and creating a new scenario for women to make a global impact. Every woman I have met so far has a different set of skills, unique and excellent in their own particular way. This provides the network a wide range of thinking spectrums, which enriches discussions and enhances problem solving. Second, it provides the tools required to extract, manage and build up on all talent from every person involved in the project. Third, it is a springboard for greater impact. Last year around 340 million people knew about Homeward Bound and around 78 million followed the expedition live. Overall, we bring our talent, Homeward Bound provides us with: an amazing team to work with, a solid strategic toolset and with the visibility to make and impact and transform the world in a more respectful and sustainable society. I don't watch as many documentary films and Ted Talks as I would love to. But I love books, and in them is where my inspiration lays. One of the last books I have explored new and interesting ideas is "Entendre el mon (Understanding the world)" written by Carles Capdevilla. This book Carles gathers eleven conversations with contemporary thinkers from Zygmunt Bauman to Anges Heller. Together they analyse the complexity of the moral, politic, economic and environmental crisis we are facing. It is a collage of beautiful minds analysing and providing insights about our near future. On the top of that, it is written from the distance and the perspective that only time can provide. In a world dominated by rush, it feels like a drivers hand playing with the wind while driving 120Km/h. I guess that the two biggest challenges that we will face in Antarctica will be keep up our physical and our emotional health. Sports are an important part of my life. I cycle to work, I climb and swim in open waters. I will train a little bit harder before I go to Antarctica. Sure, the expedition will be taugh but it will mostly involve landings and walks across ice and snow, which should be fine and fun. Homeward Bound is giving us lots of tools to deal with our emotions in adverse and remote environments. I´m sure it will be a challenging but amazing experience. That's a hard one. I´m not sure I have one. I guess my motto would be: Embrace the challenge. Let your curiosity ask those questions you are afraid of making.